Welcome to another Indie Weekends post! I think this series is going to be a lot of fun, I hope you all enjoying it as much as I do. I just got my Geek Chic Cosmetics order, and I grabbed a few collections that were being discontinued. I figured getting samples of them all before the big Reckoning sale, would be best, so the first review here is for the Portals Collection and the August Color of the Month, Clone Club. Clone Club is inspired by Orphan Black, which I highly recommend watching, it's a great show. If you haven't heard of Geek Chic Cosmetics, they sell geeky themed cosmetic collections, eyeshadows, lipsticks, blush, foundation, nail polish, and perfume. They are based in Oregon, and eyeshadows can be purchased in sample clamshells, or in full size jars. Here's my whole order! The other collection reviews coming soon! Most Indie companies have what's called a Turnaround Time or TAT. Many of them state it on their website, and essentially it's how many days after ordering until you receive your order. Some are longer than others, but most of them let you know so you can decide to buy or not. Geek Chic listed their TAT as 10 days (from purchase to ship, not including weekends or holidays), but it wasn't listed on their website as far as I could find, it was only in my order receipt. Going by that, my order shipped in 6 business days, and arrived in 2 days from Oregon to California. So not bad on the shipping, and everything arrived securely closed, but loose in the bubble envelope. Nothing was in a separate plastic bag or anything. There were also no extra samples included, which many Indie companies do include, so interesting to note Geek Chic does not include these. 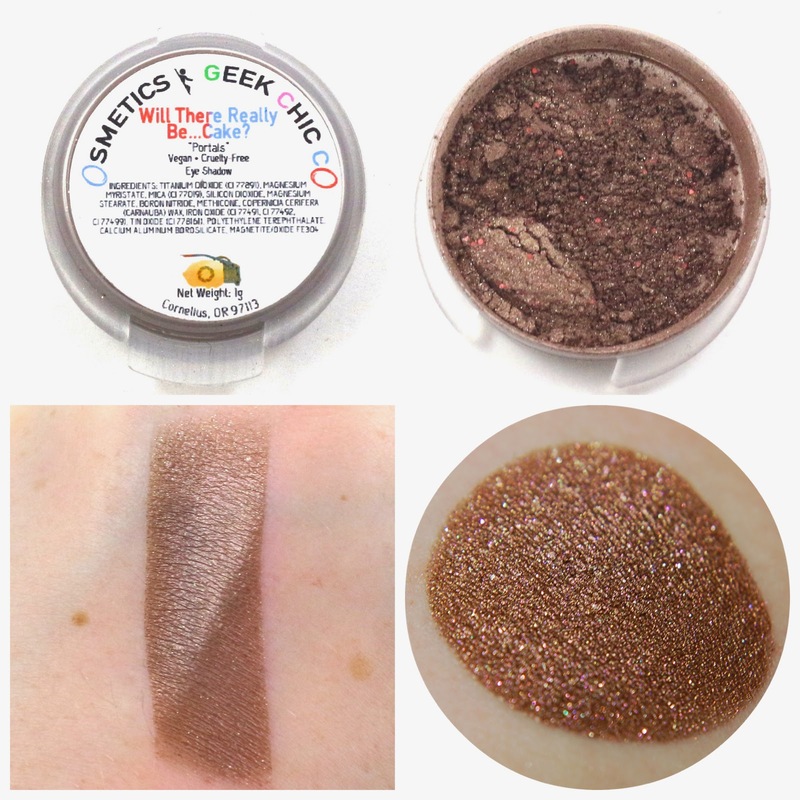 I have done some photo comparison collages of the clamshell packaging and label, the shadow as it looked in the packaging, a swatch done by me over primer, and the Geek Chic Cosmetics website swatch for comparison. 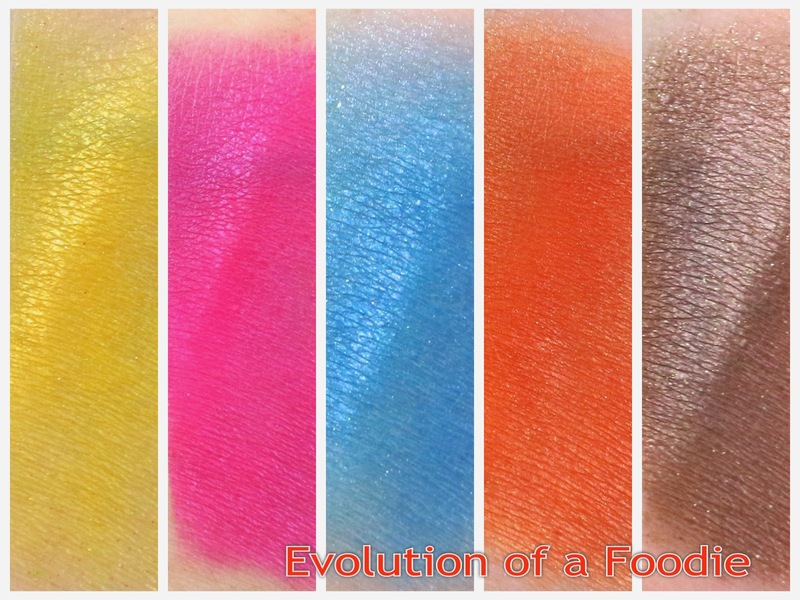 I want to mention my swatches are all done in a homemade lightbox with daylight bulbs. I lighten them to get whites as white as possible (which I think could be corrected with another lamp, but for now this will do), without blowing out highlights. I never color correct though. 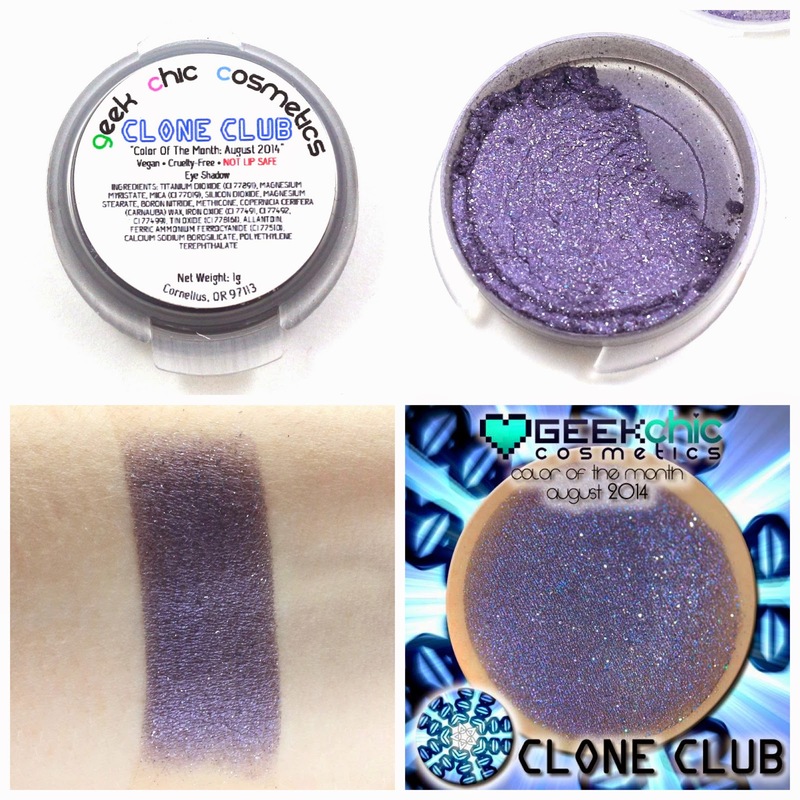 Bonus Shade: Clone Club (discontinued) - "A deep blurple shadow with blue, purple, and silver sparkle." This was the August Color of the Month, which I felt like I had to get because I really like the show Orphan Black, which is what the name is based on. I think this color is very nice and it looks very close to the website swatch. Unique? : No. I've seen pretty much every other Indie company has a shade similar to this. 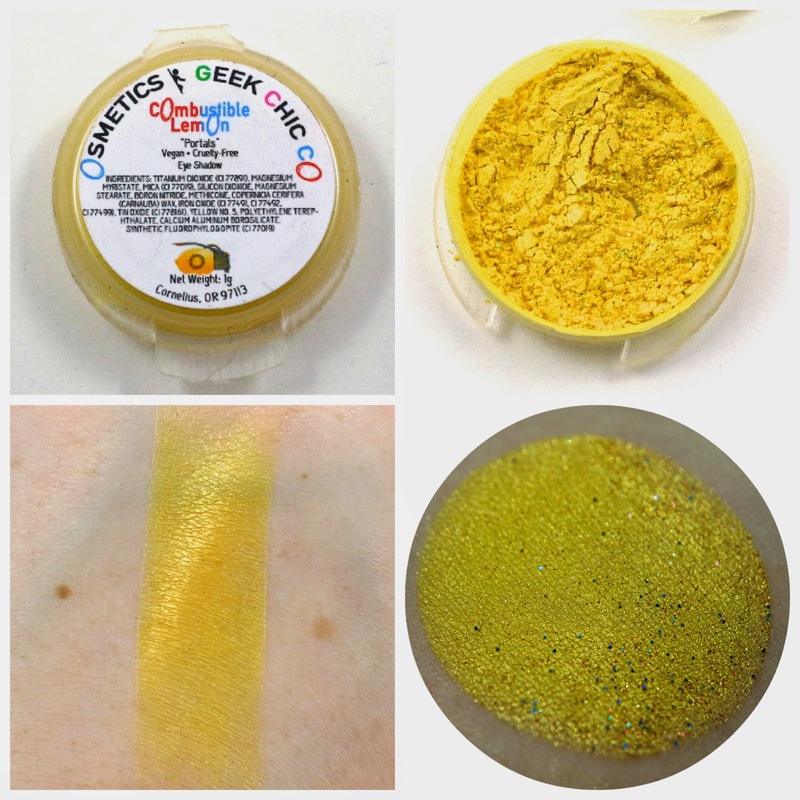 Combustible Lemon - "A blindingly bright yellow shimmer base with sparkling flashes of gold, red, orange, and blue." You can see the sparkles in this shadow while it's in the container, they look mostly green to me. But I don't think my swatch looks the same as the website swatch. Maybe I just missed the sparkles when I was swatching, but they don't show up, and the yellow in my swatch looks more sunshine yellow than gold yellow. Unique? : I think it would be unique if it actually looked like the website swatch, as I really liked the green looking sparkles. But the swatch I did looks like pretty much every other yellow Indie eyeshadow. Companion Cube - "A bright and bold soft hot pink. It has tons of silver sparkle and has a shimmer finish." This shade stains really badly, but I think my swatch looks like the website swatch. It did only take one swipe to get that swatch intensity, so it is heavily pigmented. Unique? : I think so, there are not many other Indie companies that have a bright hot pink like this, and those that do are usually blushes instead of eyeshadows. Portal Blue (discontinued) - "A bitchin' blue with tons of sparkle! Icy and intense blue, it would make a totally rad eyeliner when used wet!" This shadow isn't very pigmented, and I don't think it looks anything like the website swatch. 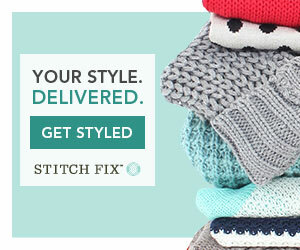 I think my swatch looks more like the Portal blue color, but the website swatch looks turquoise. Unique? : No, it's just a very basic blue and there's really nothing special about it other than it's similar to the Portal blue color. Portal Orange (discontinued) - "A deep yet vibrant orange with tons of gold sparkle. Portal Orange is a hot true pumpkin orange." While the shadow is the right color in the description, I didn't find it to have tons of gold sparkle. It was more of a gold shimmer. It is a pumpkin orange, and close to the website swatch, but not quite the same. Unique? : Kind of? It's hard to find a shadow this color, but usually because most people don't wear bright orange eyeshadow. I have been wanting a pumpkin orange eyeshadow color for fall, so this might be just what I need. 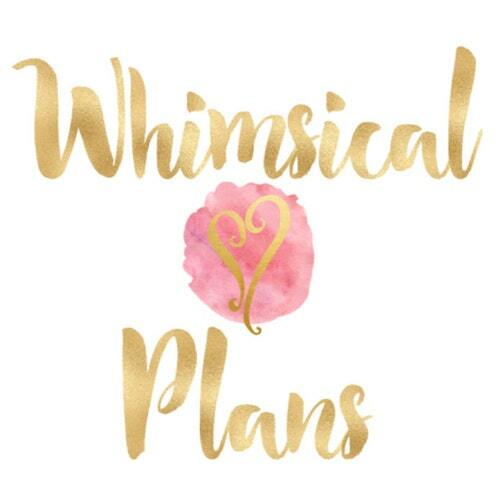 Geek Chic Cosmetics - Will There Really Be...Cake? Will There Really Be...Cake? 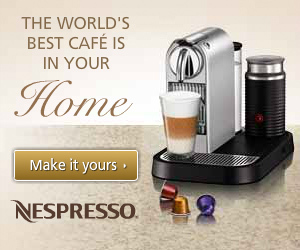 - "A rich and decadent pearly chocolate brown based duo-chrome that reflects a soft mauvy-red in soft lighting. Almost metallic in sheen when foiled. It is packed with sprinkles of brown, red, and pink sparkle, and can be used for a unique twist on a neutral eye." I love the red sparkles you can see in this shadow, and while you can't see them as well in my swatch, I think the sheen it has is very pretty and this shadow will be great for a neutral eye. And it only took barely one swipe to get it that pigmented. Unique? : I think without the red sparkle this eyeshadow has been done time and time again by every other Indie company. But with the red sparkle, it's a little more unique, and I think very lovely. 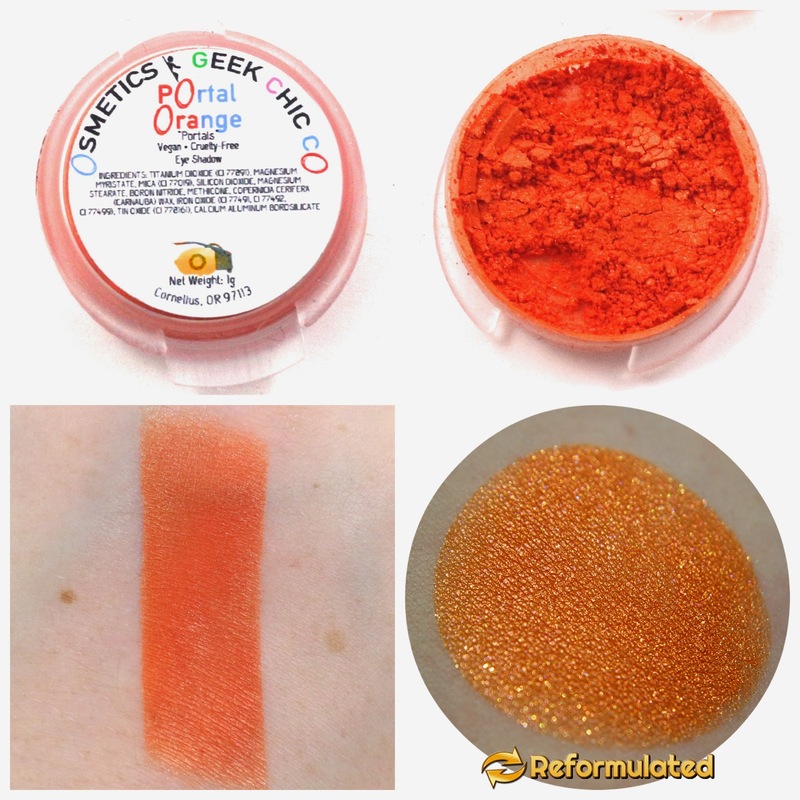 Overall, I think the shades I received are true to the colors in the Portal games, but not quite the same as the swatches shown on the Geek Chic Cosmetics website. Not all of these shades are still available for purchase, as they were being discontinued, and Clone Club is not available anymore either. And while I don't think all of these shadows are completely unique, I do think that they match the Portal games really well. So if you are into those games, and into Indie makeup, I think this is a great collection for you. When you order the full size shadows from them, you do get the special stickers with artwork on them, so my little sample sizes don't have that. I will be continuing my Geek Chic Cosmetics review, be aware that while this review was mostly positive, I have some further criticisms to make in the other reviews. So stay tuned for those! 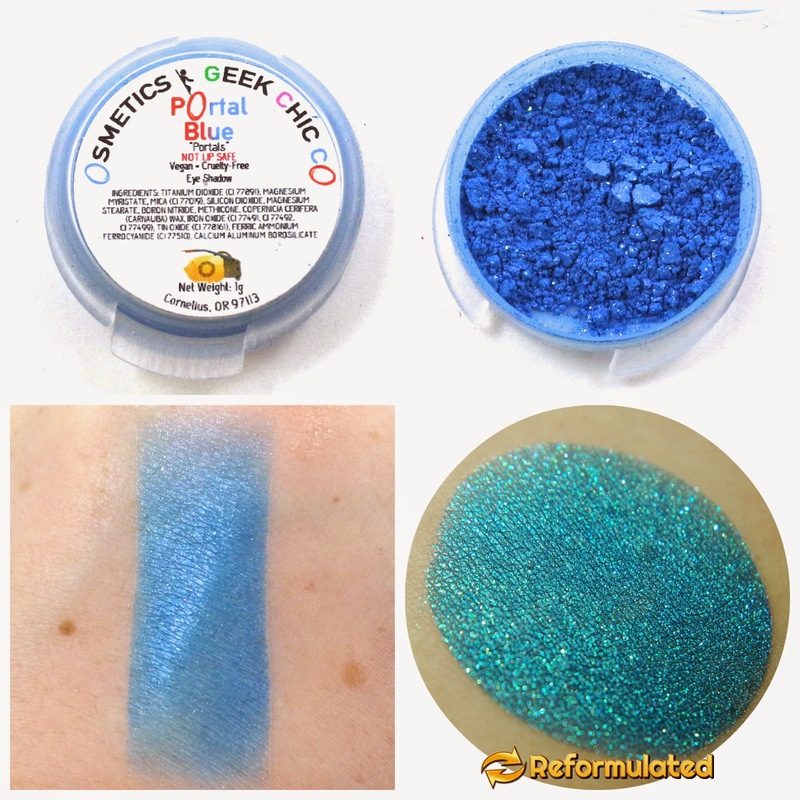 What do you think of Geek Chic Cosmetics and the Portals Collection? Let me know in the comments! For all other Geek Chic Cosmetics reviews, click here.